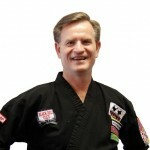 In this podcast episode, Mike Massie interviews Dusty Everson of Everson’s Karate and Cardio Kickboxing in Robbinsville, New Jersey. 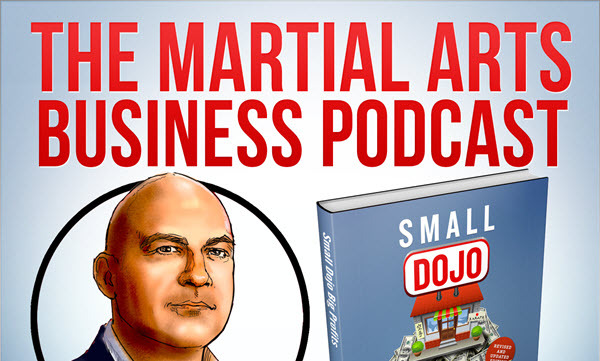 Dusty is a very successful single-location martial art school owner/operator, and he shares some incredibly valuable and insightful information in this interview. I don’t want to spoil the interview by giving too much away before you listen, but he drops a lot of simple, common sense knowledge in the interview. Stuff that should be obvious, but that many people miss or ignore because they’re listening to twenty different “experts” at once and trying to do everything each one of them says. 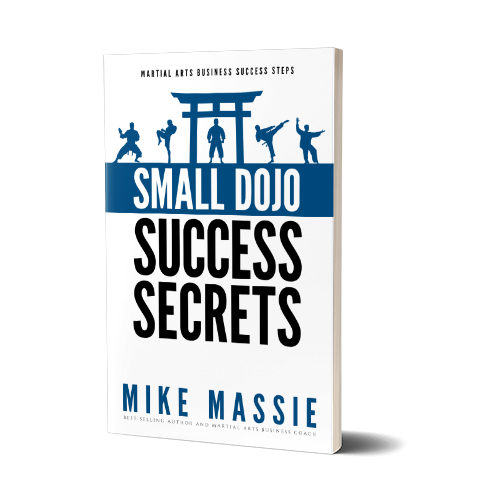 Just as in martial arts, in business the basics are what make you great, and that’s what Dusty focuses on in his business. If you’ve ever wanted to know how to get loads of high-quality students in your school who are willing to pay premium rates for your services, you’ll definitely want to listen to this interview. Also, in The Tip of the Week Mike provides tips on how to raise your tuition without losing students! Hello, the podcast abruptly ended, or is there a part 2? It’s a streaming issue. Reload the page and try streaming it again – you should be able to click on the player to fast forward to the place where it cut off. This one of the best podcasts, great information shared here. Thank you guys so much. I would appreciate hearing him speak more about sales process or even training his staff. The rates are awesome however are the rates applicable to a city rec center to YMCA program prices? And did Mr. Everson always charged 200 plus a month? Jake, if I have him back on the show again I’ll be sure to ask him about those topics. Aldrin, I doubt very seriously that he always charged that much. If you listen carefully to the podcast interview, you’ll hear him speak about raising his rates on a regular basis. The logical conclusion would be that at some point in the past his rates were lower. Also, very few people will start off charging premium prices while teaching in a rec center. However, my experience has been that martial arts instructors almost always under-price their services. Listen to the Christopher Folmar interview in episode 15 for tips on teaching full-time in a part-time location.